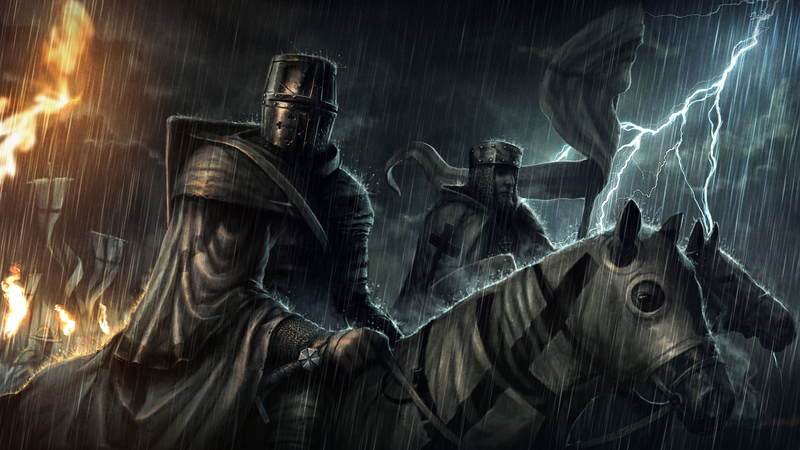 Ancestors Legacy is now enhanced with a Teutonic Order update! Free new campaign! The creators of Ancestors Legacy have not been resting on their laurels. After releasing the last campaign just two months ago in September, they already have a new one ready. As usual it’s completely free and contains five new missions, over 1700 lines of dialog and new, challenging achievements to unlock. If you don't own a game yet but would like to see what it's like to be a brave Viking or a heroic Slav, just hang on until the Free Weekend on Steam from 30th November to 2nd December when three single-player campaigns and all multiplayer maps will be available for free to everyone. All players can now download the new campaign from Steam as a free update (Store.steampowered.com) and learn the story about the origin of the Order of German Knights known as the Teutonic Order. The action itself takes place during the Second Prussian Uprising when the Prussian natives decided to organize themselves against the German occupation. The developers wanted to give players a story from two perspectives – through an eminent Knight Brother, Konrad von Thierberg and his opponent from the Prussian tribe, the leader of the rebels – Herkus Monte. The game takes place starting from 1260, when Herkus Monte, after years of studying under the watchful eye of the Teutonic Order in Magdeburg, returns to his native village of Pokarvis. Although initially on the side of the Knights, who educated him and honed his military skills, Herkus soon finds his place alongside his Prussian kinsmen and leads the rebellion against the very same Teutonic Order that he became a part of. The end of the era falls in 1274, when players, commanding the Knights of Teutonic Order as Konrad von Thierberg, will have to break the last bastion of the rebels – the castle of Lidzbark. Take command of your army as you storm through medieval Europe in an extensive series of campaigns. Choosing one of the four available nations – Viking, Anglo-Saxon, German, or Slav – you will be tasked with more than just conquering, raiding, and pillaging enemy camps, villages, and towns. Only by utilizing the full range of available tactical options, taking strategic advantage of the environment, and managing your temporary bases and settlements will you emerge victorious. Streamlined resource management and village construction. Ancestors Legacy adds Heroes to the multiplayer! ANCESTORS LEGACY SDK from Overwolf is now available! Gore.. and plenty of it! Can this game be played on MacBook Pro 2017? Wow guys, this is a very interesting game! This is beautiful. Any plans for mod support, would love to discuss mod.io with you. Sorry for the VERY late reply... :( Yes there is!